Thank you for visiting Armstrong Family Dentistry. 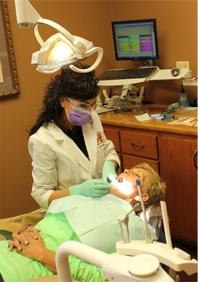 Our mission is to provide a lifetime of healthy oral wellness for you and your family. Our goal is to educate you on how to obtain and maintain healthy teeth and gums. 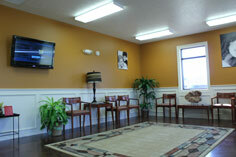 We take great pride in making all of our patients feel comfortable and at ease. We offer an inviting atmosphere with state-of-the-art treatment rooms. At Armstrong Family Dentistry we specialize in improving our patients’ smiles with conservative and noninvasive dental procedures. We bring the latest proven technology to all aspects of our dentistry, from advanced cosmetic procedures like porcelain veneers and implants to cleanings and fillings. Our highly trained staff is friendly and caring and we value your time. Therefore we go to great lengths to stay on schedule. At Armstrong Family Dentistry we strive to make your dental visit a truly positive experience. Dr. Armstrong's dental team excels at helping you feel comfortable and at ease in our welcoming office with outstanding hospitality and five-star service. Our team of dental professionals has undergone years of specialized training that allows us to create beautiful results using time-tested, proven dental services. We use only the finest modern dental materials in our office in conjunction with many of the most recent advances in dental technology. Our comfortable office features many amenities designed to enhance your comfort and make your visits more relaxing. We also offer anesthetic options that are completely effective at eliminating pain and discomfort in order to ensure that even the most nervous patients can get treatment without worrying about unnecessary pain or fear.